HomeBox or House of Culture, what is it? 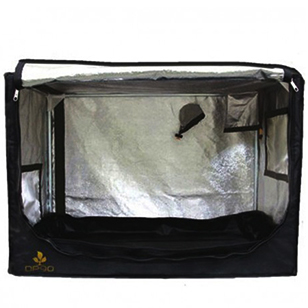 A culture tent is dedicated to indoor growing . 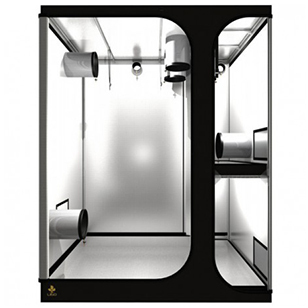 Its name differs between people and places, you can call the culture chamber , grow tent , Growtent , homebox , blackbox , box ..
HomeBox was first a brand, the first to be commercialized culture chambers, but then became a term of the language of indoor growing . 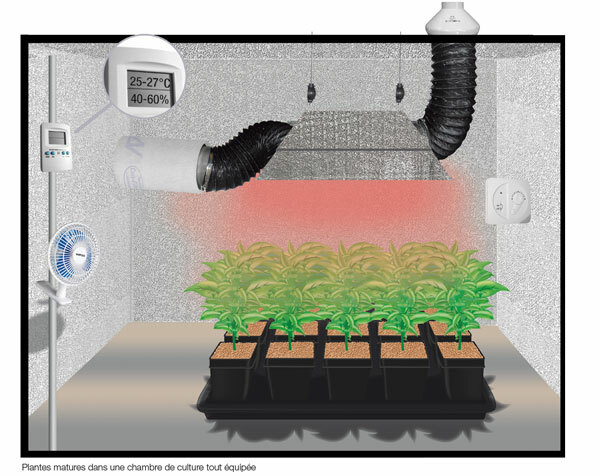 There are different types, but the growth chamber canvas remains the alternative chosen by the majority of farmers interior. A self-assembly, these culture rooms are extremely practical . Designed in canvas, they are completely sealed to external light . 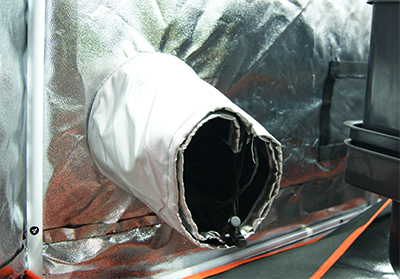 Inside the tent is lined with reflective material, usually mylar is used, but this can also be of aluminum or white tarpaulin highly reflective like Orca . 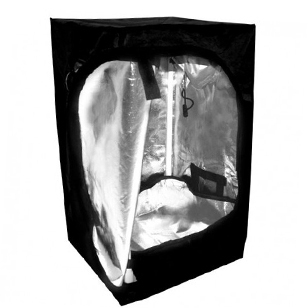 The tents offered on Culture Indoor are designed in materials with a seal and a reflective ideal for your plants , because as for reflectors , their lining is important. 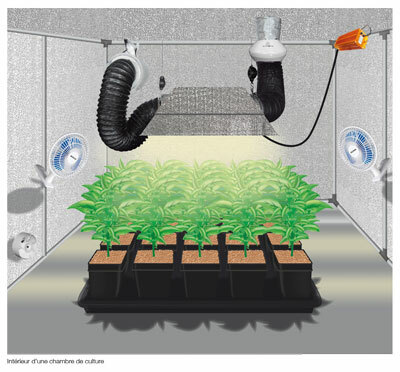 It is not easy to reproduce in your grow room climate conditions around the outside . However, the acquisition of a " homebox " quality will enable easier management of the air , the humidity , thetemperature and light . 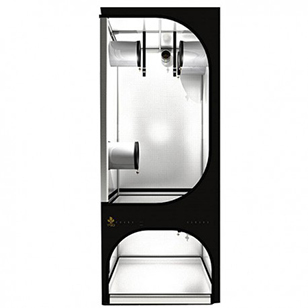 It is best to start your career as hydroculteur by purchasing a room whose surface and height will determine the number of lamps, their intensity and the size of the system to use. 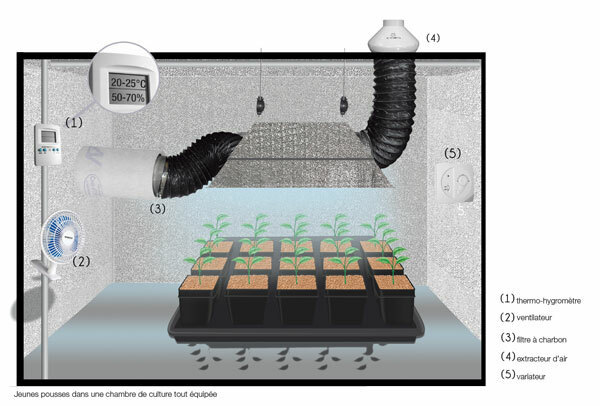 The required minimum height is 1.40m (according to cultivar), knowing that the plants are raised about 30 cm from the ground by tanks and a distance of 30 cm is required between the ceiling and lamps. Where to install its growing space? 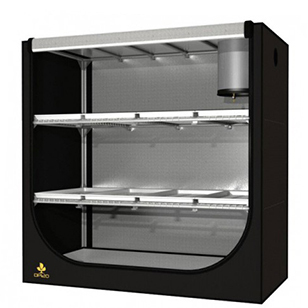 It is first necessary to know the area you willing to install your grow room . It is often said that we must first choose its cultivation and its equipment, but in practice growers often adapt their culture as space. Think before you start, plus installation is well thought out, the better your chance of success your crops. The indoor culture is the reflection, practice and patience. The room in which will be installed your culture tent must have a moisture content not too high ambient. 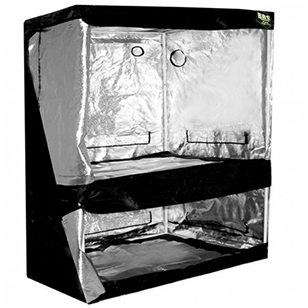 Indeed a rate of humidity high is needed inside your box, so it's best and outside your tent moisture be low otherwise it can become problematic for your crop . In which case you can use dehumidifiers in the room for example. For a classic, durable installation time, we recommend to dedicate a space of at least 1m2 2m in height . If the culture is considered permanent, so seamlessly, it is better to have two growth chambers : one dedicated to the growth that will host parent plant and cuttings , the other will house the plants in bloom . It is indispensable to hermetically separate each space. 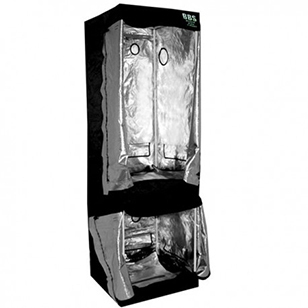 Today some brands offer growth chambers that has several growing areas in the same room . If you choose this alternative, then you have some experience, because you will have to manage different plants at different stages of culture . Indeed it is important to keep the climate balance of each space. This practice will allow you to grow your plants continuously . 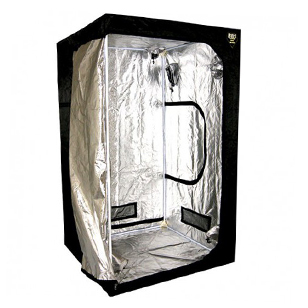 The growth chamber is then divided into two parts, you can also divide into two horizontally growth portion in order to have the bottom part for cuttings and the mother plant, and above the growth portion. You then take at least 80cm in height and 1.40m for growth for flowering. The area of growth will be lower and the space of flowering above. How to manage space germination / rooting? The temperature should be maintained between 20 ° C and 25 ° C. Of the rate humidity (moisture content) will be around 90% within the mini-greenhouse . The use of fans is not yet necessary at this stage of culture. for lighting use a cold light (blue) type CFL , neon or LED . How to manage its growth space? The temperature should be maintained between 20 ° C and 25 ° C day and 18 ° C at night , with a humidity rate (humidity) of between 60 and 80% . You can add fans to avoid the heat of the lamp reaches the plant. For lighting, a dual compact fluorescent 110 watts is enough, unless you opt for MH . 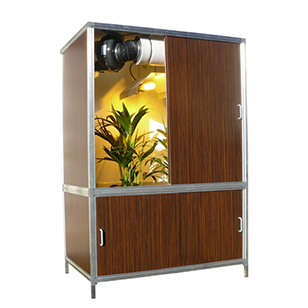 It is necessary to have at least 1m minium height for phase growing your plants. How to manage her blossoming space? The temperature should be maintained between 25 ° C and 27 ° C day and 18 ° C at night , with a humidity rate (humidity) of between 40 and 70% . There are already fans to avoid the heat of the lamp reaches the plant, but you will also increase the extraction power of your air extractors. In a space of 1 m², a 400 watt lamp is enough. It takes two meters tall to develop beautiful plants but also to keep in your space a constant temperature. It will equip you with an extractor equipped with a dimmer to adjust its speed according to the ideal temperature, a fan , a charcoal filter (to reduce odor) and a thermo-hygrometer . this space must be completely sealed to the outside light. 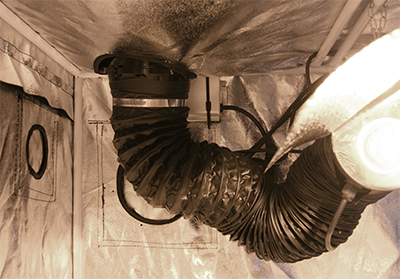 Check the capacity of your electrical system to support all of the hardware in your indoor garden . All plugs and electrical connections must be located high up and protected from splashing water. The ideal is to have 2m high for the stage flowering of your plants. Also, regardless of the type of box you choose, it is very important to pay attention to the sizes of socks intraction and extraction to select a suitable material. Most box -equipped but the sizes differ depending on the size of the tent. In fact you will need to adjust your purchase by size of socks and size of the flange of your extractor , your sleeve , or your charcoal filter .